Gerald and I wish you all a very Happy New Year and pray that God will bless you and use you in many ways in the coming year to further the work of His Kingdom. We are excited at what God is doing with our African partners and already we have some great news to share with you all. 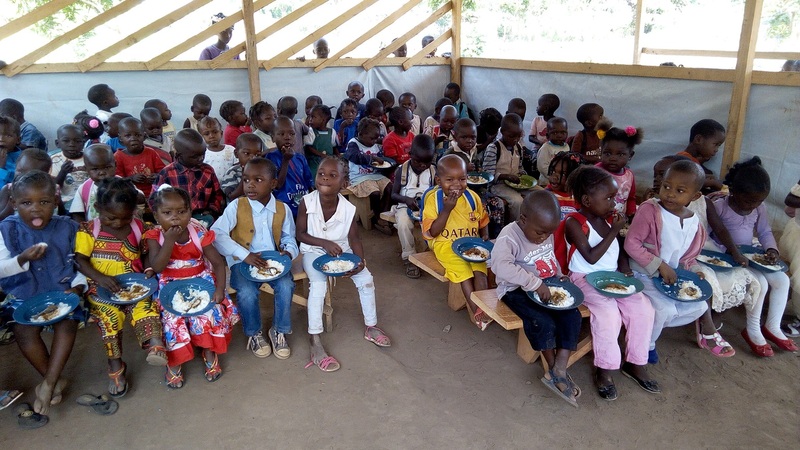 We received several special donations over the Christmas season, which have blessed literally hundreds of needy children, as well as the families of our faithful partners there in Africa. It enabled them to celebrate Christmas with a special meal and receive gifts when otherwise their Christmas would have been very bleak. We send you our deepest appreciation and thanks for faithfully doing your part, and trust that God will richly reward you. Already things are moving ahead as we proceed into this new year and we ask your prayers in particular for Mike as he travels to the UK on a special ministry trip next week. Love and blessings, Shirley and Gerald. Michael in Kenya – after a very busy December, he leaves home on January 21st to spend a couple of months in the UK (paid for by one of his children’s ministry contacts there). He has been asked to speak about his children’s and youth ministry at several children’s ministry conferences and meetings, so it is very exciting! We pray that God will give him safe travel and good health (and also keep his family safe and healthy while he is gone!). We never know all that God has planned for such trips, so we pray that God will prepare Mike and clearly direct him throughout the visit, connecting him with everyone GOD wants! 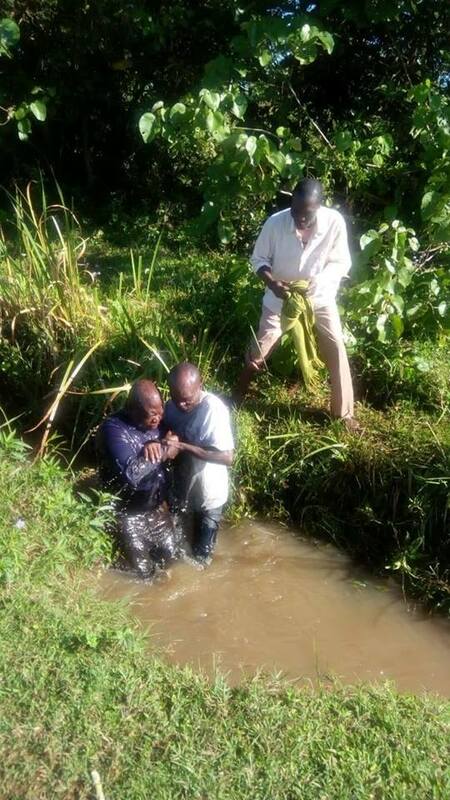 This photo shows him baptizing a new believer, who was eager to start his new life as a Christian. 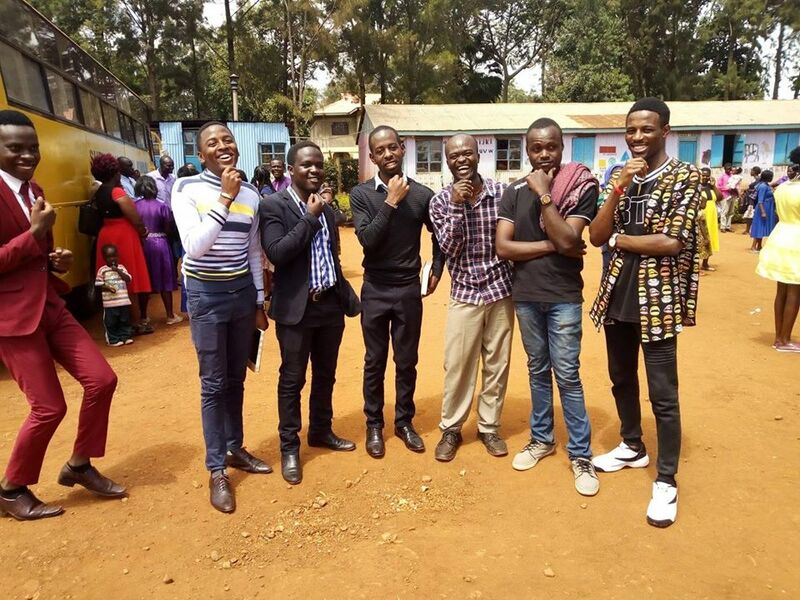 The photos below show him with his faithful children’s ministry team at Chrisco church, and some youth he has mentored since they were small children. Pastor Honoré in C.A.R. 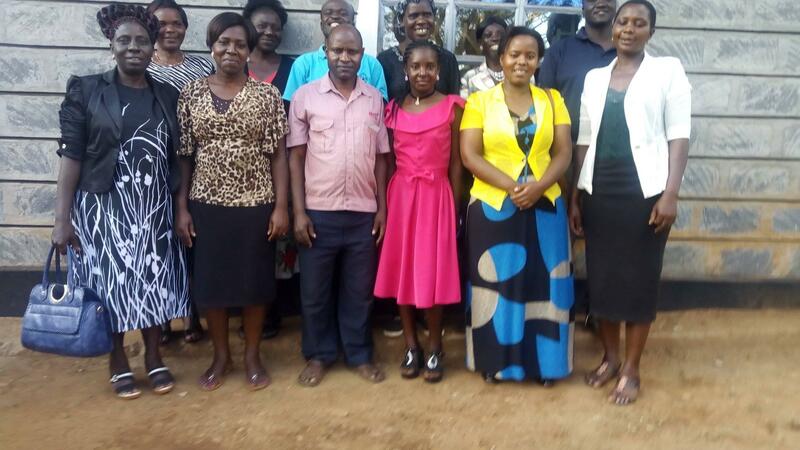 – he has been very busy with the new school and adult literacy program recently started at the CEERCA ministry site. 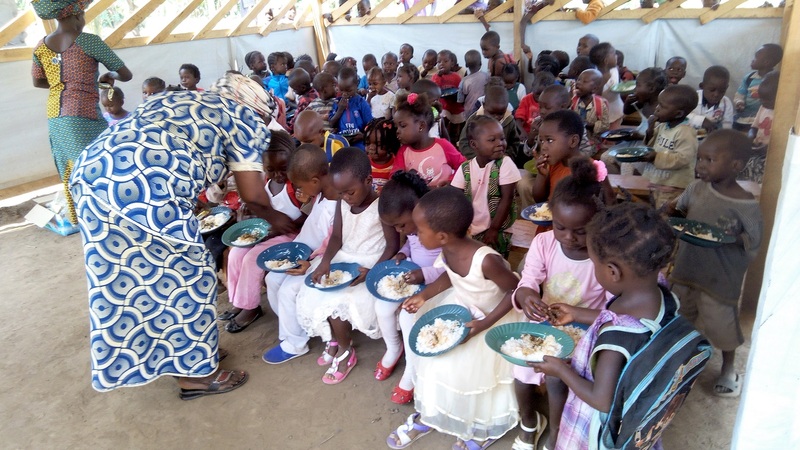 He has started a feeding program to regularly give a good meal to the children there and of course they all enjoyed a special meal to celebrate Christmas as seen in these photos. 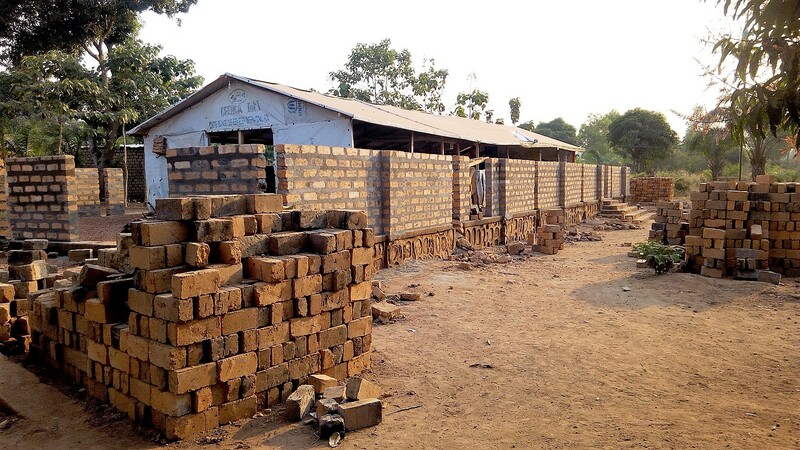 So many of the local people have become energized through the church and new school, that Pastor Honoré has had more help to make bricks and also finally to start construction of the church walls. What a huge blessing, after so many years of faithfully waiting and enduring theft and so many problems!! We’re excited to see what lies ahead there this year! 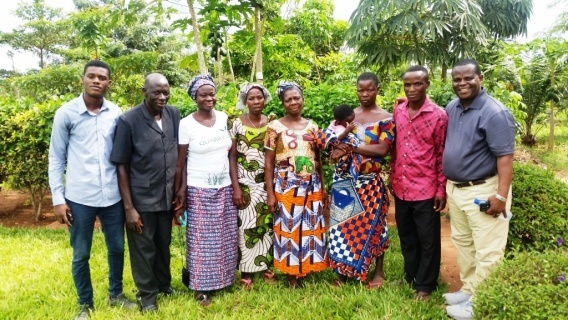 Pastor Sika in Togo – he sent us a detailed newsletter and photos recently, including these of the staff and children at the Joseph Project Orphanage. They were able to enjoy a great Christmas with special meal and gifts, in spite of the insecurity and problems caused by the much-contested elections ordered by the government on December 20th. There was much unrest, clashes with police, and some people were even killed, with virtually no progress made politically unfortunately. Pastor Sika sends his thanks and appreciation for all our support, and especially for the donations made to help pay for his family’s medical bills after both he and Lucie were hospitalized in early December. 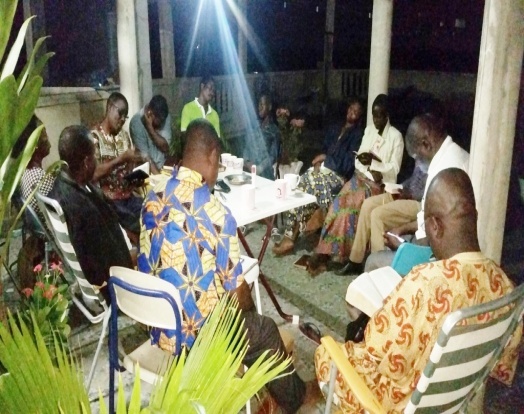 He hosts a monthly prayer vigil in his home in Lomé (see photo below) where his team and other pastors meet to pray for their country, as well as the various ministries, both in Lomé and out in the pagan and unreached villages. Throughout the next month or so he will be busy once more with the distribution of the Operation Christmas Child shoeboxes; and of course at the orphanage, plans are already being made to begin plowing the ground for planting the crops again this year. We pray for strength and wisdom as the work continues on.